Stunning Victoria Falls on the Zambezi River is one of Africa’s most iconic sights and the jumping off point to explore prolific wildlife opportunities in South Luangwa National Park. 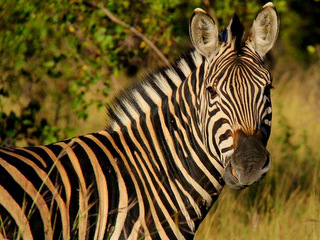 Zambia’s premier game reserve has strong populations of lion, leopard and elephant, and countless other mammals, birds, and reptiles. Safari lodges here are small and intimate, close to nature, and renown for excellent guides who take visitors on walking safaris. We believe that to travel responsibly, a portion of our tour cost should benefit the communities we visit. For this trip, we will donate to PATH, who works throughout Zambia towards eliminating malaria, improving access to vaccines, and supporting communities to improve maternal and child health & nutrition as well as those living with HIV. Depart home and fly to Zambia, losing one day to travel and time change. Arrive at Livingstone Airport and transfer to your lodge located on the banks of the Zambezi River for a two-night stay. Secluded and informal yet only 30 minutes from Livingstone, relax on your deck overlooking a lagoon where animals come to drink. 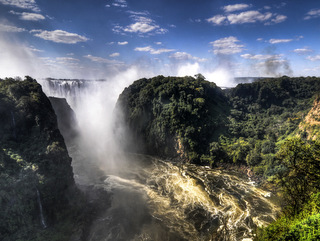 Available activities include a visit to mighty Victoria Falls, a sundowner cruise along the Zambezi, a guided walk through the local village or through Livingstone and markets. After breakfast, catch your flight to Mfuwe and transfer to your lodge for the next two nights. 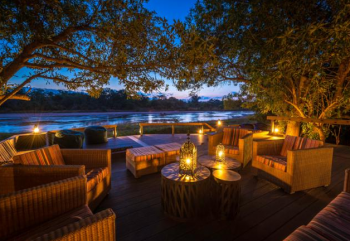 Located inside South Luangwa National Park and nestled beneath a canopy of ebony and mahogany trees, the lodge overlooks two lagoons where an endless stream of wildlife will keep you enthralled. Enjoy early morning and afternoon/evening game drives. Optional activities include guided bush walks, visits to a local village and school, and shopping for textiles at a cooperative market. 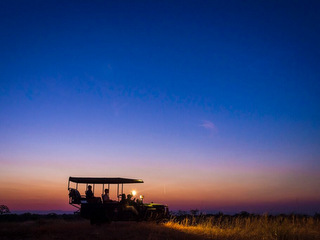 Transfer by safari vehicle to a more remote lodge within South Luangwa Park, located on the banks of the shallow, spring-fed Kapamba River. This peaceful, secluded area is surrounded by some of the park’s richest wildlife and has fabulous views over the watercourse. From the lodge, rise early to explore the rich diversity of the surrounding area on a guided game walk or drive with your expert tracker/guides. Return to camp for a rest and cool your feet in the crystal shallows of the river. Venture out again in the late afternoon or evening for sundowners and more game viewing. Transfer to your luxury tented camp within South Luangwa Park on the edge of a permanent lagoon where hippo and elephant are in residence. From your private verandah, you’ll be able to view prolific wildlife and birdlife, with breathtaking hills as your backdrop in the serenest of environments. 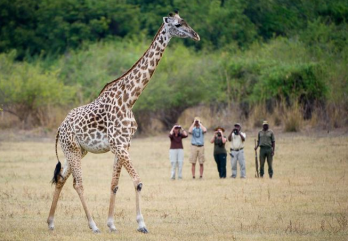 Get close to the wildlife with a guided walking safari, game drive, night drive or sundowner trip. 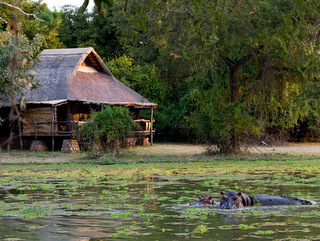 Or choose to simply relax in a deck chair at camp and watch a steady stream of wildlife that are drawn to the lagoon. Stargaze under a perfect night sky. Say goodbye to South Luangwa Park and Zambia as you transfer back to the Mfuwe airport and onward flights home. 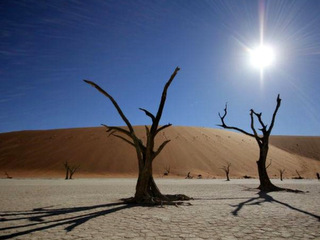 Extend your stay in Africa with a trip to Cape Town and the Winelands of South Africa or a visit to the stunning deserts of Namibia. Ask for details.